LAS VEGAS, NEVADA (January 22, 2010) – DIGISPEC and Visstun, two of the four divisions in the Time's Up family of companies, have combined their respective sales forces into one. "We found that many of our customers purchased from both brands and we wanted to make our sales and customer service process as easy as possible," said Ed Hamilton, president of DIGISPEC and Visstun. "Combining the sales forces so each customer has one dedicated sales counselor was the most effective way of making this happen." 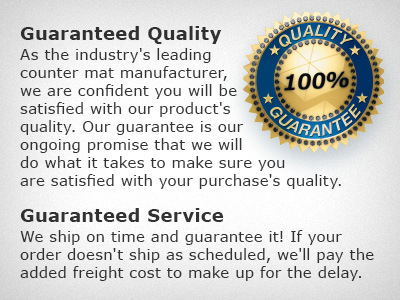 DIGISPEC®, the first business in the Time's Up family of companies founded by Ed Hamilton in 1983, is a manufacturer of custom corporate mouse pads using state-of-the-art equipment and quality American-made materials. When the company purchased Minneapolis-based XJD Corp in 2002 and acquired Linden, Utah-based DataPad 2003, it became the largest mouse pad manufacturer in the promotional products industry. To date, it has produced more than 250 million mouse pads. Time's Up created Visstun® in 2006, launching the world's first high-definition convolute cup. This unique, state-of-the-art technology eclipses traditional cup imprinting methods by first printing high-quality corporate images on flat polypropylene sheets and then forming them into cups on custom engineered machinery. Both divisions have received numerous accolades. Since 2000, DIGISPEC has been honored more than 50 times by industry associations, publications and distributor companies, including receiving a Counselor Distributor Choice Award for nine consecutive years and being named by Counselor as a Best Places To Work in 2008. The line has received 11 PPAI Supplier Achievement Awards, most recently in the Offset Process category, as well as four PPAI Supplier Star Awards of Merit. Since it's inception, Visstun has been honored 10 times, including the 2009 Counselor Product Design Award for Drinkware, the 2009 Silver PPAI Supplier Achievement Award in the Supplier Self Promotion category and the 2010 PPAI Supplier Achievement Nominee Award in the Catalog (S1-S5) category. DIGISPEC and Visstun, along with their sister companies CounterPoint® and AwesomeEye®, are headquartered in Las Vegas, Nevada. For more information on DIGISPEC mouse pads, visit www.digispec.com. For Visstun custom cups, visit www.visstun.com.